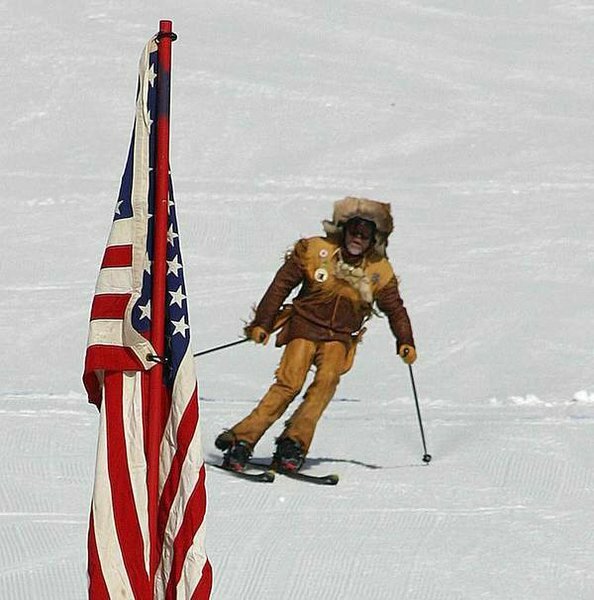 Big Mountain Ski Resort in Whitefish, Montana - Winter Season 2005/2006: "2006 US Telemark National Championships at Big Mountain, Whitefish Montana. 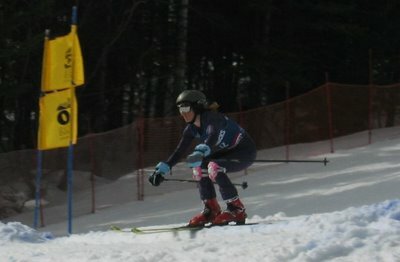 Three days of racing wrapped up Sunday on Big Mountain, with freshly minted national titles for the best Elite and Junior Telemark racers in the country. 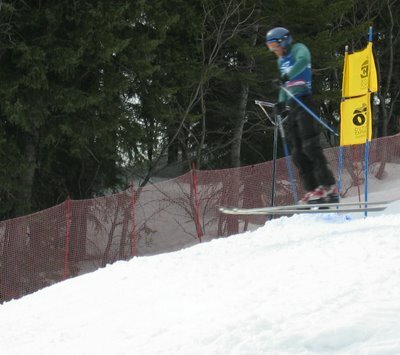 The 2006 overall US National Champion for the men’s division was won by Reid Sabin of Whitefish Montana. Kelsey Schmid-Sommer took the women’s overall title. 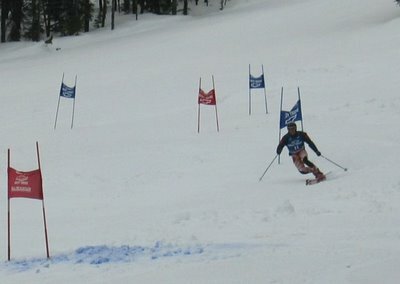 The junior women’s title went to Elizabeth Klemer, Max Powers won the junior men’s, congratulations to all the athletes on a great weekend of competition. " The Telemark National Championships got underway this morning (Friday) at Big Mountain. 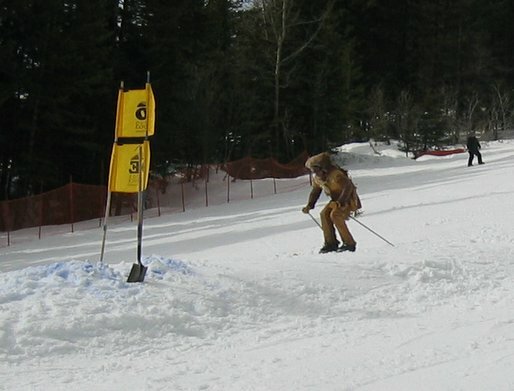 Here Lester 'The Wheel' Johnson comes through the finish area in Mountain Man gear after fore-running the GS course.